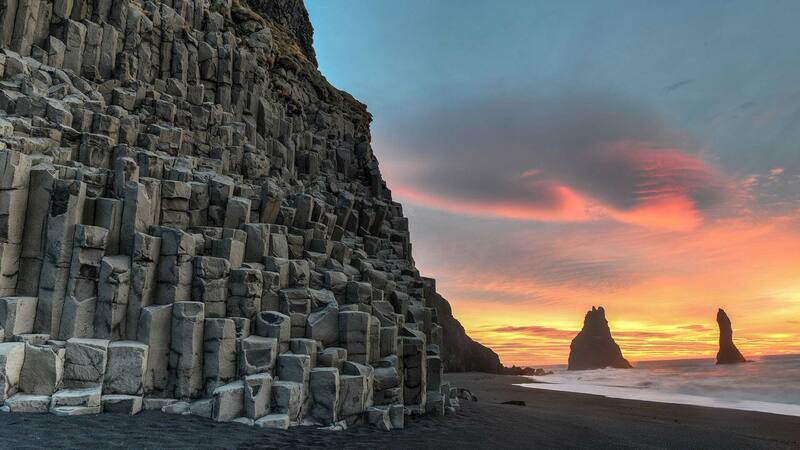 Experience some of Iceland’s most beautiful landscapes with this 6-day self-drive getaway in South and West Iceland. Enjoy cosy accommodations, scenic drives, soothing geothermal spa visits and memorable adventures like a visit into the glacier are just a few of the many highlights you’ll enjoy. 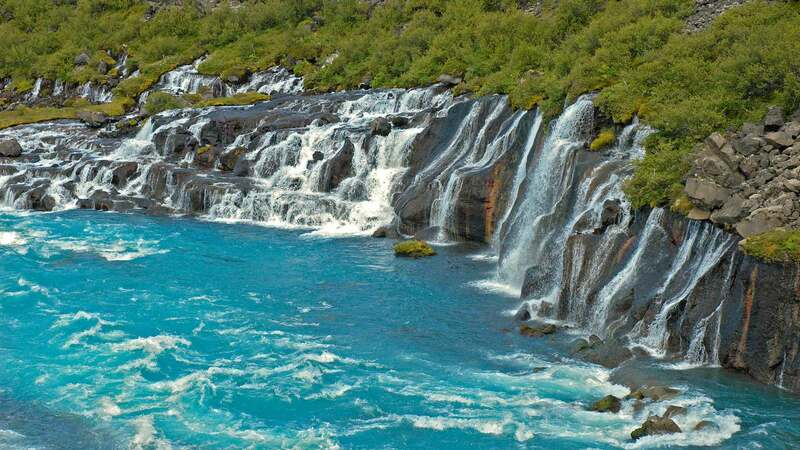 You will also get to see spectacular waterfalls, hot springs and black sand beaches during this adventurous trip. Upon arrival to Keflavik International Airport, you will be greeted by a driver who will take you to your accommodation in Reykjavík. After settling in, the rest of the day is free for you to explore the vibrant city centre with its abundance of museums, restaurants and bars to suit all tastes. If you're interested in checking out Icelandic design or experiencing the city's thriving coffee culture, head to the main street, Laugavegur, and enjoy its various shops and cosy cafes. Begin your journey today by driving through the bountiful Borgarfjörður area. 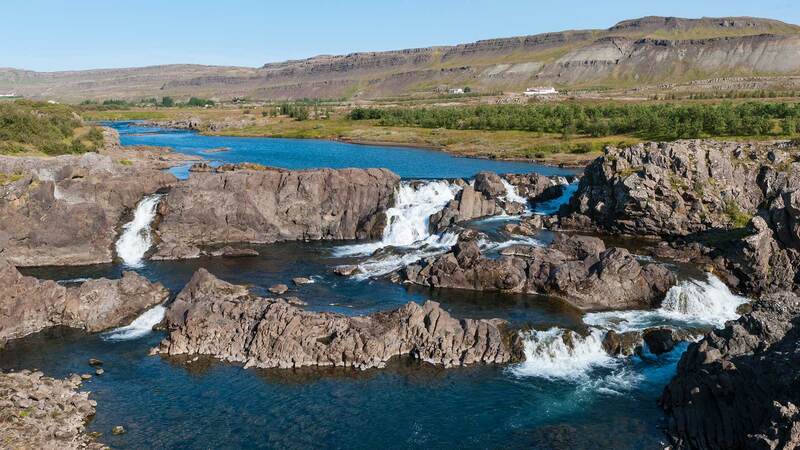 Sights along the way include the twin waterfalls Hraunfossar and Barnafoss along with the Deildartunguhver hot spring. Next on your agenda is heading to Langjökull glacier where you will experience a true adventure, venturing inside a glacier! 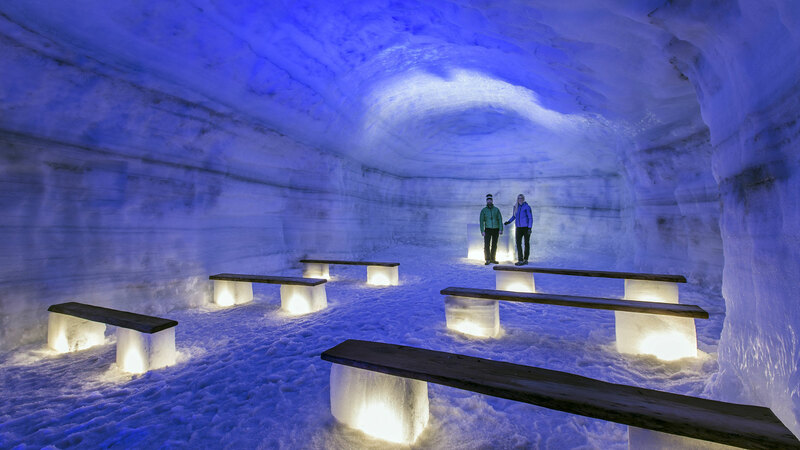 During this unique tour, you will have the chance to experience the actual ice in Iceland, inside the island's second largest glacier. 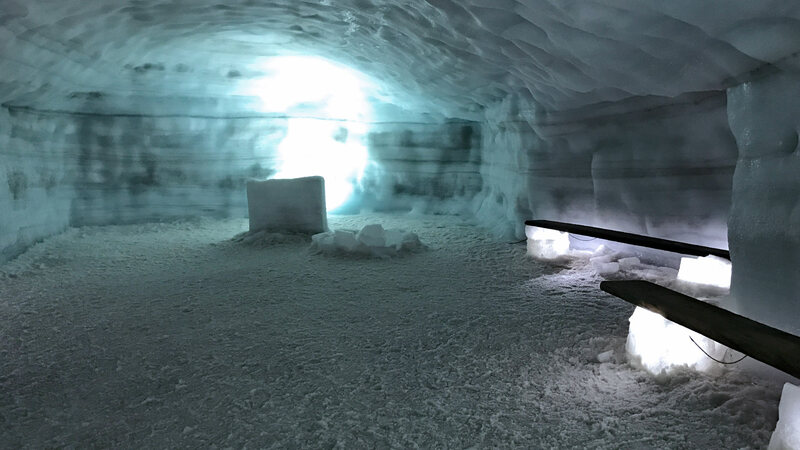 An enormous modified truck will transport you to the manmade tunnel, which exposes the beautiful blue ice and allows you to see crevasses and the glacier's unique characteristics. Driving distance approx. 180 km / 112 mi. 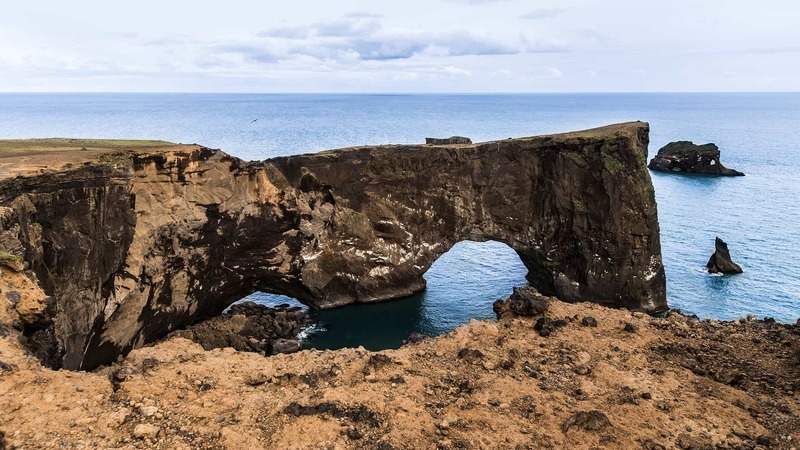 Today's journey brings you up close and personal with some of Iceland’s most popular south Iceland attractions along the classic Golden Circle route. If you have selected a 4x4 vehicle you can take the Kaldidalur route, which is scenic, but a rougher road. Start with a visit to the fascinating Þingvellir National Park, a UNESCO World Heritage Site. Here, you can walk on a path in the rift valley between the North American and Eurasion tectonic plates and learn about the first site of Iceland's democracy. Next on the route is the Haukadalur geothermal area, where you can see Geysir—the original “geyser”—and its more active neighbour Strokkur, which spouts water and steam metres into the air every few minutes. 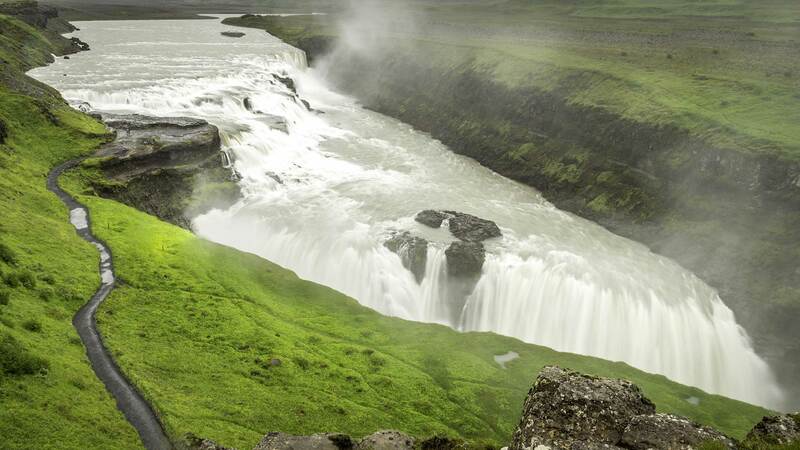 End the day’s adventure with a visit to the two-tiered, roaring Gullfoss waterfall, one of Iceland’s most memorable sights. Driving distance approx. 235 km / 146 mi. Kick off the day with a visit to the fairytale-like Seljalandsfoss waterfall, where you can have the unique experience of walking directly behind the misty cascade. Next, visit the gorgeous 60-metre tall Skógafoss waterfall just a short drive down the road, which is a perfect place to take photos and roam the beautiful surroundings. 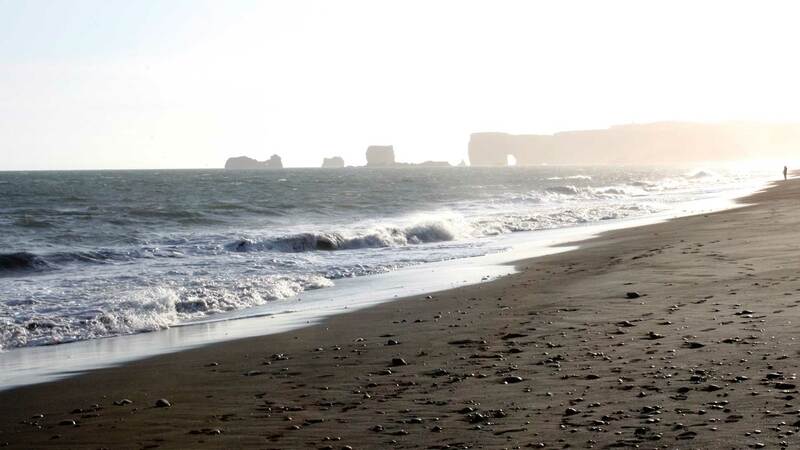 Further ahead at the small village of Vík, you can make a stop at the black volcanic beach south of the village, from where you can view the impressive rock formations Dyrhólaey and Reynisdrangar. You also have a chance today to join an exciting guided excursion by foot or snowmobile on a glacier! Driving distance approx. 260 km / 161 mi. Driving distance approx. 170 km / 105 mi. Transfer by shuttle bus to Keflavík International Airport in time for your departure flight. If you depart in the afternoon, you can do some last-minute shopping at some of Reykjavik´s boutiques or visit one of the city’s many interesting museums. You also have the possibility to add a trip to the Blue Lagoon to your transfer (optional).